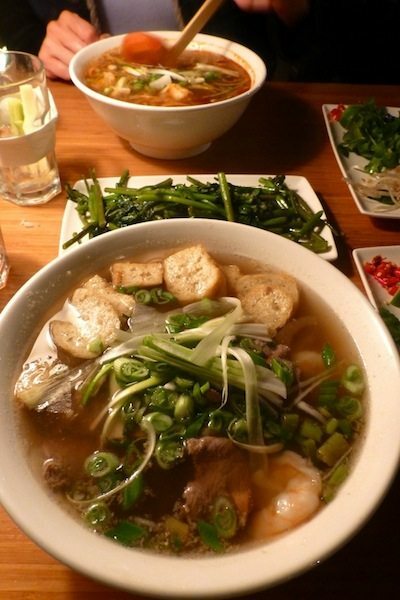 Home Blog Reviews Pho Vietnamese Brighton. I was delighted when Pho opened a branch in Brighton, which I guess means I’m a ‘Pho-natic’, a term they use on their website to describe Pho fans. I love Asian cuisine, particularly food from countries like Vietnam and Thailand, where the burning heat from the chilli is tempered with lighter, more fragrant ingredients like lemongrass, coriander and mint. It’s a heady, enticing combination and one I feel drawn to eat, over and over again. There are now nine branches of Pho around the country and its popularity is easy to understand. The Brighton branch, its fourth opening, was its biggest venue thus far and it’s a buzzy, vibrant place with modern, minimalist urban décor that suits the vibe and functionality of such a sizeable space. It’s in a great spot, centrally located in Black Lion Street, with sea views from the outside tables. Pho’s food is Vietnamese and, if you haven’t been there yet, the name is pronounced ‘fur’ and comes from its signature dish – steaming bowls of noodle soup topped with a variety of different vegetables, herbs, seafood or meat. 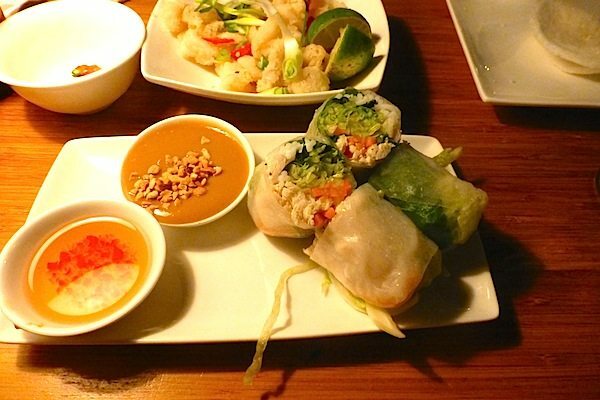 There’s also a range of tasty starters, such as the fresh rice paper summer rolls, crispy spring rolls, pork and lemongrass meatballs or fried baby squid. All tempting dishes to get your taste buds tantalized for the main courses. The service at Pho is always top-notch, friendly and fast, but one of the things I like most about the food is its versatility. All the dishes are tangy and moreish and the menu works well throughout the year, regardless of the season. If it’s cold outside, the Pho noodle soups are really warming, plus there are wok-fried noodles and rice dishes if you don’t fancy noodles in a hot broth. And so, because my dining partner and I were already familiar with Pho’s food, we opted for a mix of staple favourites alongside dishes we’d not tried. To kick-start proceedings we nibbled some prawn crackers with sweet chilli sauce and I ordered a glass of Pinot Grigio wine to lubricate the selection process, while my friend went for a glass of their freshly-made carrot, apple and ginger juice (Pho do great juices!). I chose the Gỏi cuốn, summer rolls stuffed with herbs, vermicelli noodles, pickle and chicken (£4.45) with two dipping sauces; a spicy peanut and also soy with ginger. As usual the summer rolls were bursting with fresh ingredients and were a delight to eat. The rice paper has a slightly chewy texture, which I really like, although some may prefer the crispier hot spring rolls. The fried squid (£6.50) was a dish neither of us had eaten there before. 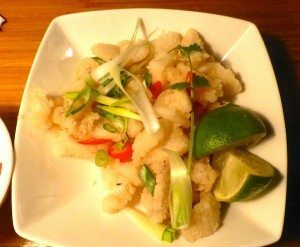 The squid comes dipped and fried in a batter that is akin to white tempura – but with potato starch, so it is also a gluten free dish. A small bowl next to the squid contains a wedge of lime, which you squeeze onto the dry ingredients salt, pepper and chilli to make the dipping sauce. Delicious! For our mains we continued our quest to try new dishes. I went for the house special – the Phở đạc biệt – which comprises tiger prawns, tofu and flash fried steak with garlic in beef stock (£10.50), while my friend chose the Bún tôm Huế, a hot and spicy noodle soup with tiger prawns (£9.25). With every Pho soup you’re given a choice of noodles a side plate of chilli, beansprouts, lime wedges and herbs, such as lemongrass, coriander, mint and Thai basil. I love the fun element of adding the finishing touches to a meal, according to your taste. I always go all-out and add everything! My noodle soup was wonderful, although the tofu wasn’t completely to my liking as it had quite a spongy texture reminiscent of bread croutons. 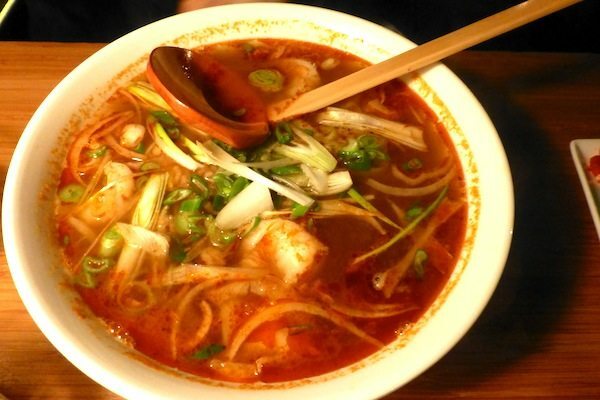 My friend enjoyed her spicy soup, which was similar to the Thai dish Tom Yum but with less spice and much more citrus. 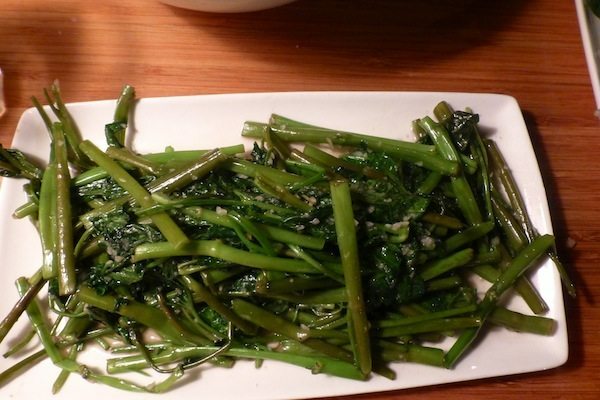 As a side order we had the morning glory water spinach, which have smaller leaves and long stems so work really well fried in lots of garlic, as they do here at Pho. I truly love that dish and highly recommend it, if you haven’t had it before. The food at Pho is pretty healthy and light while also being quite satisfying, so I’ve never made it as far as the desserts before. But for the purposes of this review (and our important research for you, dear reader!) my friend and I decided to press on and have something sweet to round off the meal. We’re both fans of decent-quality chocolate so the choice was a no-brainer: the chocolate truffle slab served with green tea ice cream (£6.50). And oh my giddy aunt, what an amazing dessert it is too! A sinfully rich slab of dark chocolate heaven that will now be called upon to make an appearance every future visit Pho. I love the combination of dark chocolate with coffee, so chose their Caphe VN coffee as a last hurrah, which is thick and strong, served black or with condensed milk. 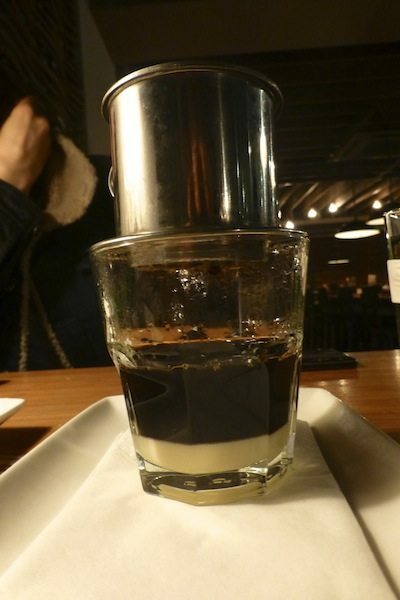 There’s a sense of theatre at Pho which carries all the way through any Pho experience and the coffee is quite a show-stopper, served in a glass with a little metal filter for the coffee. 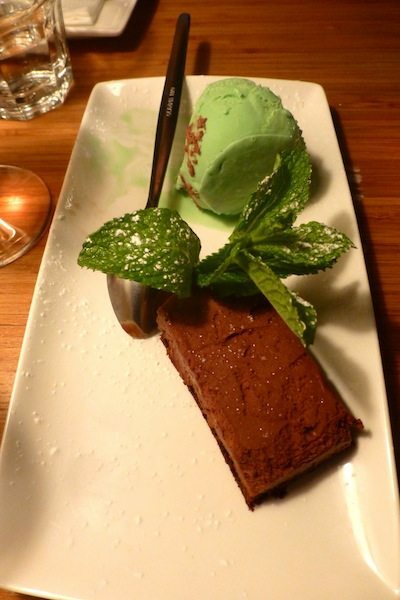 It’s the perfect way to end the meal. Pho’s food is consistently good but I love the sense of excitement and adventure I feel when I go there. This is a place that reminds me of the good things in life and cheers me up: it won’t be long before I’m back.